Colorado Gov. John Hickenlooper, who has long been mentioned as considering a 2020 presidential run, further inflamed those discussions Monday by forming a political leadership committee. The federal leadership PAC, called Giddy Up, will be able to bring in money from donors that Hickenlooper can use for travel, policy development and supporting federal candidates outside of Colorado. DENVER – Colorado Gov. John Hickenlooper, who has long been mentioned as considering a 2020 presidential run, further inflamed those discussions Monday by forming a political leadership committee. The federal leadership PAC, called Giddy Up , will be able to bring in money from donors that Hickenlooper can use for travel, policy development and supporting federal candidates outside of Colorado. The PAC already has brought along several of Hickenlooper’s close associates, including his 2014 campaign manager, Brad Komar and former chief legal counsel Stephanie Donner, according to campaign filings. According to the Federal Election Commission , PACs like Giddy Up are often established “to support candidates for various federal and nonfederal offices” and cannot be tied to a single candidate’s campaign committee or a political party committee. 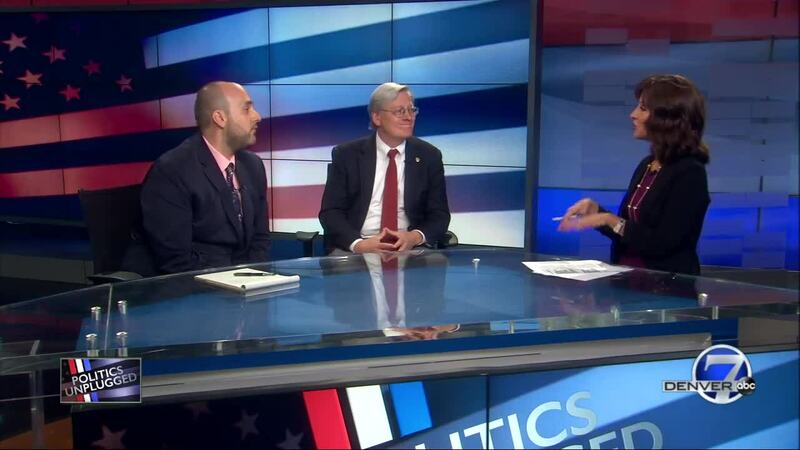 They are allowed to take contributions from other PACs and individuals, though individuals can only contribute up to $5,000 a year to the specific leadership PAC, according to the Center for Responsive Politics. The Colorado Sun first reported the formation of Giddy Up, and Hickenlooper elaborated in an interview with Colorado Public Radio , saying he wouldn’t make a final decision on whether he will or will not run for president until after he is out of office next year. Hickenlooper is term-limited in 2018. Hickenlooper has been mentioned as a possible candidate for president in 2020 since 2016 , and his close work and relationship with Ohio Gov. John Kasich , a Republican who has been critical of President Trump, has led to more questions. 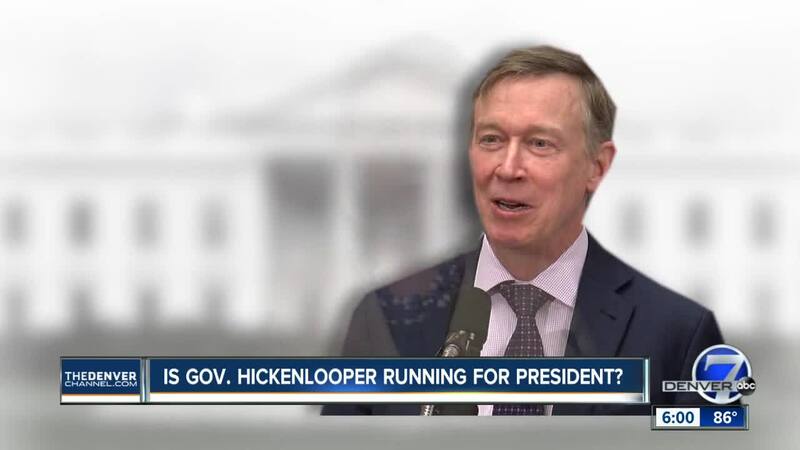 When asked by Denver7 in March about a possible 2020 run for president, Hickenlooper demurred and said he was focused on his final term in office and final legislative session, which he was in the midst of at the time. But new profiles in the Washington Post , whose conservative opinion writer Jennifer Rubin called Hickenlooper “the opposite of Trump,” and in Politico , in which he said he’d seen “an interest” from others regarding his gubernatorial work in Colorado, had rekindled those discussions ahead of Monday’s committee formation. Hickenlooper is set to make a public appearance Tuesday to announce a new state initiative, but a person with knowledge of his schedule said he would likely be traveling later this week to meet with candidates in other parts of the country.